Fifth Street Farms has presented only an occasional classical music concert. It’s something we plan to do more often in the future, and we thought the Thalea String Quartet would be a great start. 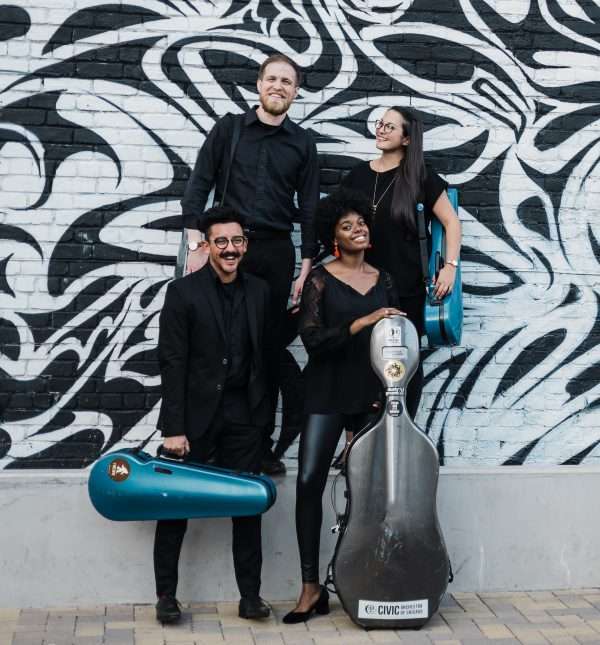 This award-winning local quartet has performed in Italy, the United States and Canada, and recently completed a gig as the first quartet-in-residence at the San Francisco Conservatory of Music. We’ve seen them perform and they’re not only top notch musicians, they’ve got interesting and entertaining things to say about the music they play. This is your chance to get to know them in the kind of intimate setting that chamber music is made for. You can find a preview of them playing the Mendelssohn here.